A legal requirement for all properties which have gas boilers or appliances installed. Additionally, the Landlord’s Gas Safety Certificate has to be done annually by a “Gas Safe” qualified Gas Engineer. Learn more about Gas Safety Certificates. 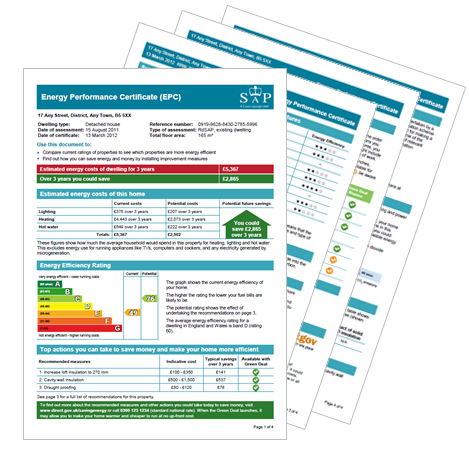 Again, a legal requirement, the Energy Performance Certificate (EPC) has a 10 year shelf life and must be carried out by a qualified Energy Accessor. Furthermore, the property can not be marketed without an EPC ready to view. Learn more about Energy Performance Certificates. It is a legal requirement for all tenancy deposits to be registered in an approved Tenancy Deposit Scheme. Additionally, the Tenant also has a legal right to know under which scheme the deposit is to be registered. We provide this as part of our rental packages. Learn more about Tenancy Deposit Schemes. Inventories are detailed reports, with photographs of the condition of the property when a Tenant moves in or out. Consequently, these are essential as it details the exact condition of the property. Therefore, It also highlights any existing problems or damage that may have occurred during the tenancy period. We are able to offer both move-in and move-out inventory reports for Landlords or Tenants for all types of property. Learn more about Inventories. We have a full team of fully insured and experienced contractors. They cover all eventualities from broken washing machines, to leaking roofs. For more information on Property Maintenance Services that we can offer – please click here. If you’re looking at renting your property for the first time, or just need advice, our friendly team are happy to help. Furthermore, we have a huge section on the website packed with helpful advice and guidance – please click here.